Think for a minute about what it takes for your business to handle its financials: daily sales, timesheets, payroll, statements and more. Now imagine that it’s all done for you – Electronically and error-free. 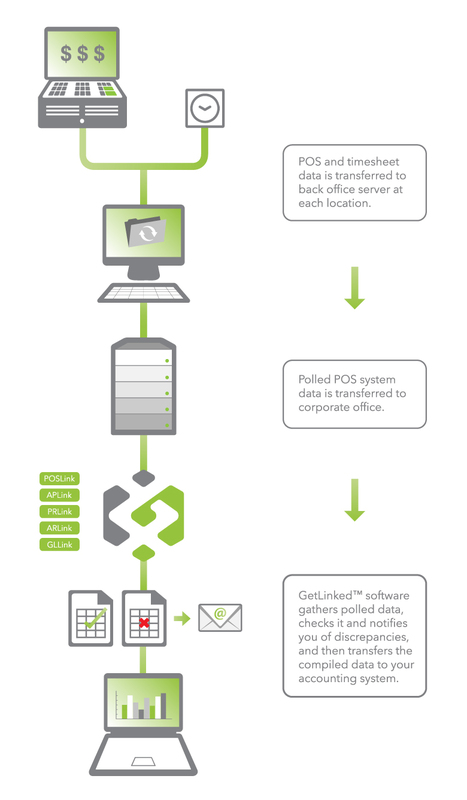 The diagram below shows how GetLinked works. And all it takes from you is a click or two.